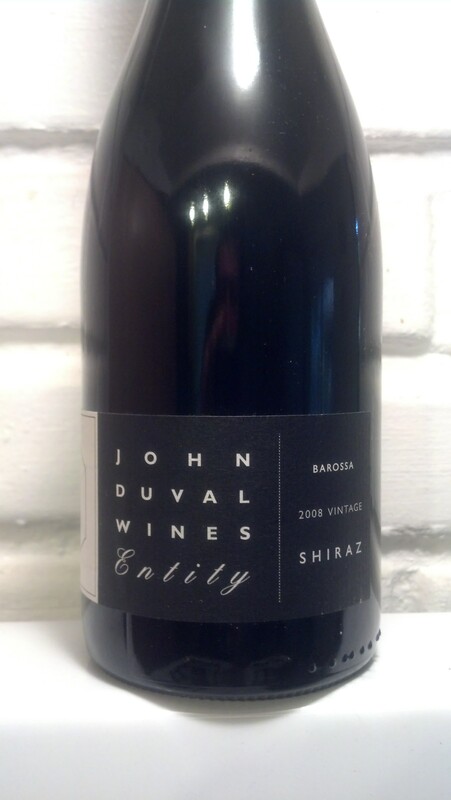 2008 John Duval Entity Barossa Shiraz | Wine Splash! Big and Rich describes something more than a country music duo. An amazing, complex red wine filled with layers of vibrant flavors! Deep crimson color with a nice purple hue on the rim. Fragrant aroma of blackberries, dark berries, cassis, and mocha. Full bodied, rich mouthfeel with smooth tannins. Stunning flavors of ripe black cherries, blackberry pie, spice, and cloves. On the second sip, hints of anise, plum, black pepper, and vanilla leads to a wonderfully elegant finish. Generous and fleshy, this provocative wine hits all the spots between my palate and my heart. 95 Points – WineSplashing! !